Quotes within 24 hours. Fast report turnaround. Waste Management Plans to meet DA or town planning requirements for projects Australia wide. Over 150 projects completed per year. Demolition & Construction Waste Management Plans are commonly a DA or town planning requirement for new developments. Demolition waste management plans identify processes and materials that can be re-cycled or means of minimising waste going to landfill. Construction waste management plans identify processes that can minimise waste and maximse re-use of waste products. Operational Waste Management Plans (also called Ongoing Use Waste Management Plans) are a typical town planning or DA requirement for larger residential and non-residential developments. The goal of these Operational Waste Management Plans is to ensure consideration of location and practicalities of waste removal, and recycling and waste minimisation opportunities early in a development’s design phase. Thankfully garbage and recycling waste separation is now an ingrained habit for many Australian residents. Unfortunately not all businesses pay for the separate recyclable waste collection stream. The Council requirement for operational waste management plans now generally requires incorporation of treatment for recyclables waste for new non residential developments – so increasingly separation of recyclable waste products will become common place in all Australian businesses. Benefits of a Waste Management Plan – Often a Waste Management Plan is created as a result of compliance requirements however there are many benefits of investing in a Waste Management Plan for your development. Planning for waste management can improve waste outcomes at the new site and when you consider the lifetime of occupancy ahead of your new development, this can be a significant contribution. Low Impact Development (LID) Consulting provides a comprehensive waste management plan for multi unit and non-residential developments in Australia. A waste management plan will define your strategy for managing waste during operation of a new facility. It will give consideration to potential sources of waste, estimate the likely volumes of waste and outline solutions for the management of waste. 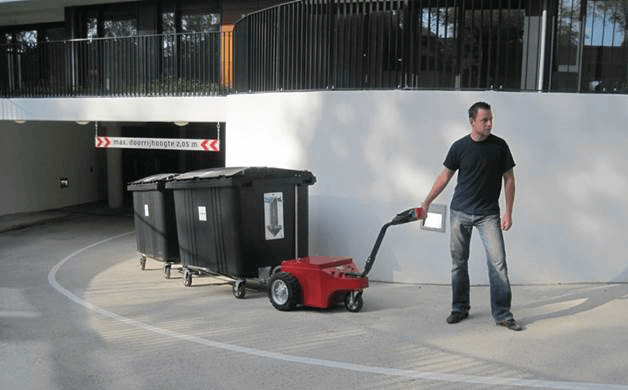 This may include solutions for rubbish or recycling, options for reducing the amount of waste produced, redirecting waste away from landfill and for the waste that is produced, detailed plans for the practical storage and removal of waste at the premises. When it comes to storage and removal of waste there are a number of considerations which need to be factored into building planning including storage space and configuration, safety and accessibility, health considerations and processes and procedures for the regular collection of waste. Consideration for bin configurations will also be required both from a practical and cost management standpoint. A waste management plan provides an optimal approach to the management of the new facility’s rubbish, looking after the environment and the health of those who come in contact with it and aiming to manage the waste in an efficient, effective and safe manner. Plant Ark’s Business Recycling site identify facilities and services to recycle around 90 products including computers, mobile phones, office furniture, fluorescent lights, carpet, food packaging etc. Go on – make a list of local centres close to your business – and set up a system to recycle these items. There are drop off centres, and other businesses listed that will pick up the listed waste items for recycling. Zero Waste South Australia’s www.zerowaste.sa.gov.au site offers many practical and nationwide leading suggestions for waste management. Encouragingly the new development in residential and non residential waste management is the increasing separation of food waste from garbage streams. Currently in most Australian municipalities other than in South Australia food scraps are not separated from garbage going to landfill. These food scraps will go to landfill and the valuable nutrients within the organic material is lost. In addition food scraps in landfill contribute significantly to the 90% of greenhouse gas emissions from landfills that are a result of decomposing organic material (source Zero Waste SA). Activating procedures to separate food organics (often 50% of domestic garbage) can have major impacts on reducing the negative green house gas effects of landfill. Until municipal green waste collection services can accommodate food waste as occurs in South Australia (food waste can be placed directly in green bins, wrapped in paper, or placed in compostable bags), directing food to bokashi bins (which can sit in a kitchen and accelerate the initial stages of composting), compost bins or worm farms are the most practical solutions for dealing with food waste outside of the garbage stream. These options are good, but rely on the energy and drive of keen people, and are not likely to have as wide an impact on food separation as would a separate municipal food waste/green organics collection service. Other areas of waste management where simple improvement can occur is in avoidance of excessive packaging – a simple action we can undertake in our own lives and at work. In cases where avoidance is not possible, then a greater understanding of what can be recycled will make a difference in reducing landfill waste. A better understanding of product and food packaging types can also help to improve resource recovery and reduce permanent waste to landfill. Generally rigid plastics labelled from 1-6 can readily be recycled and should go into co-mingled municipal and private recycling bins. However, plastic films, plastic bags, lightweight polystyrene, such as used for meat trays, packaging (including foam packing ‘peanuts’) and hot drink cups should not be put in municipal recycling bins. Refer to the guide below. PET Clear, tough, solvent resistant plastic, often used as a fibre. Carbonated soft drink bottles, detergent bottles. HDPE Very common plastic, usually white or coloured. Milk and cream bottles, shampoo bottles, cleaning products. PVC Hard, rigid plastic, may be clear. Clear cordial and juice bottles. LDPE Soft, flexible plastic – waxy surface. Squeeze bottles. PP Hard but still flexible plastic. Ice cream containers and lids, plastic take away containers. PS Clear, glassy, rigid, brittle plastic. Yoghurt containers and margarine/ butter containers. OTHER Includes all other plastics and soft plastics including acrylic and nylon. EPS Foamed, light weight, energy absoring, heat insulating. Packaging, meat trays, hot drink cups, foam packing ‘peanuts’.